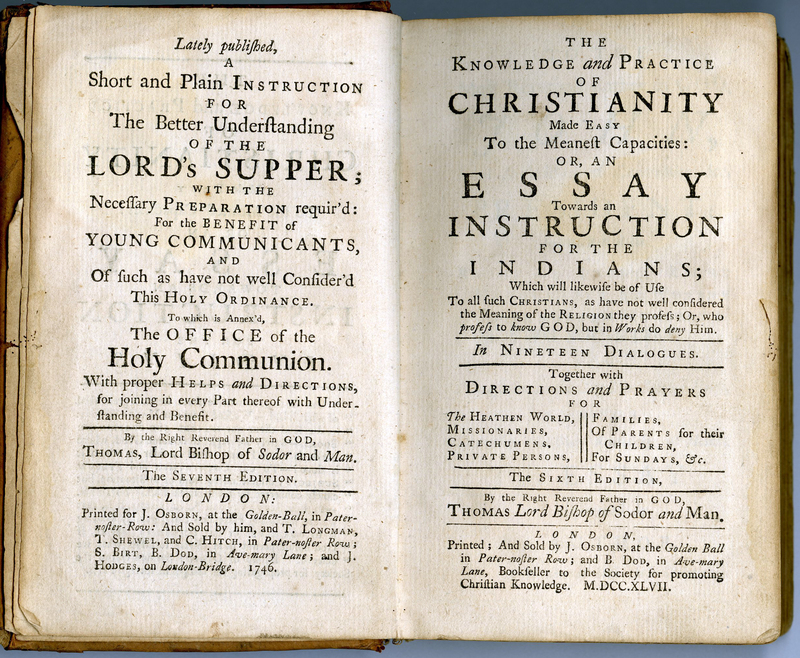 A page from this volume. There was some celebrating back in early May, when we completed the cataloging of the 1,397 titles in the Younghee Kim-Wait/Pablo Eisenberg Native American Literature Collection. Thankfully, no one got Gatorade poured on them, as had been threatened. I thought I would share in this post a little bit of the detective work that the last few titles required, and suggest questions that may be worth further research. 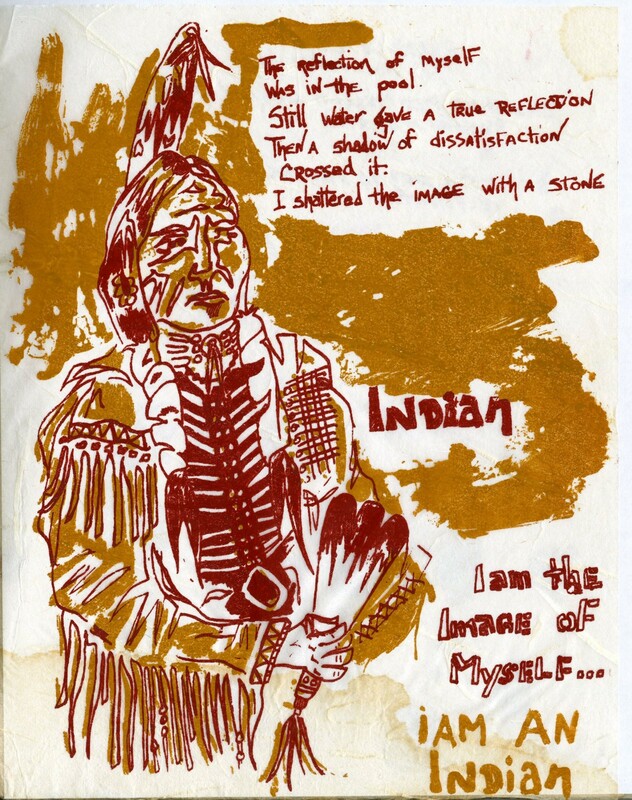 At first glance, a collection of poetry, stories, and art created in 1969 by students at the Institute of American Indian Arts (IAIA) certainly looked as if it were a one-of-a-kind manuscript. Indeed, a note from the book dealer had called it “a unique collection.” Closer examination revealed that the text was printed (probably by silk-screening), although some of the artwork may have been done by hand before the printing. With no title page on our copy, I searched WorldCat in several different ways before I felt confident that there are at least two other copies of this work in libraries, one at the New Mexico State Library, and one at UC Davis. I suspect no copy has an actual title page, and this can lead to different libraries accidentally cataloging the same work in different ways. The copy at UC Davis was given a title based on the first poem in the book…which can be a valid choice according to cataloging rules, but sometimes is confusing for researchers. I am freshly returned to the Archives after a wonderful trip to Austin, TX to attend the annual conference of the Native American and Indigenous Studies Association (NAISA). The conference was a fantastic gathering of people from all walks of life and I heard many inspiring presentations and talked excitedly about the research opportunities supported by the new collections at Amherst College. Upon my return to the library this morning, I was greeted with two boxes full of books for our Native American collections donated by Peter Webb, Class of 1974. Before I get to some of the items Peter donated, I want to mention another gift from Bob Giddings, Class of 1965.